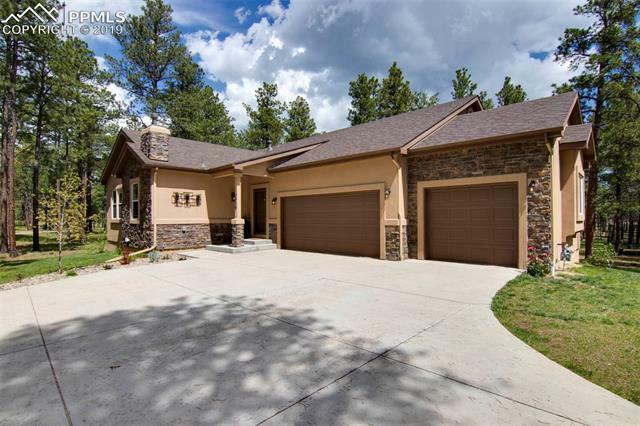 Gated Black Forest Reserve Home just hit the market in Colorado Springs! This Relaxing and Stunning home features 4 bedrooms, 3 bathrooms andÂ 4, 012 sq ft of living space. Feel the warmth as you enter your new home, featuring a Bright Open Living area, Wood Floors, Stone Wall Fireplace, and a Large Laundry Room. The Chef's Dream kitchen comes equipped with 42" cabinets, a Large Island, Granite Counter tops, Stainless Steel appliances, Upgraded light fixtures and even a touch-less faucet.